It’s 6:45 A.M., and Joe Federico is in the Monrovia PetSmart parking lot to meet feral cat trappers, something he does several times a week. On this particular Thursday a crew of three women—Karla, Kimberly, and Lifa—is waiting. 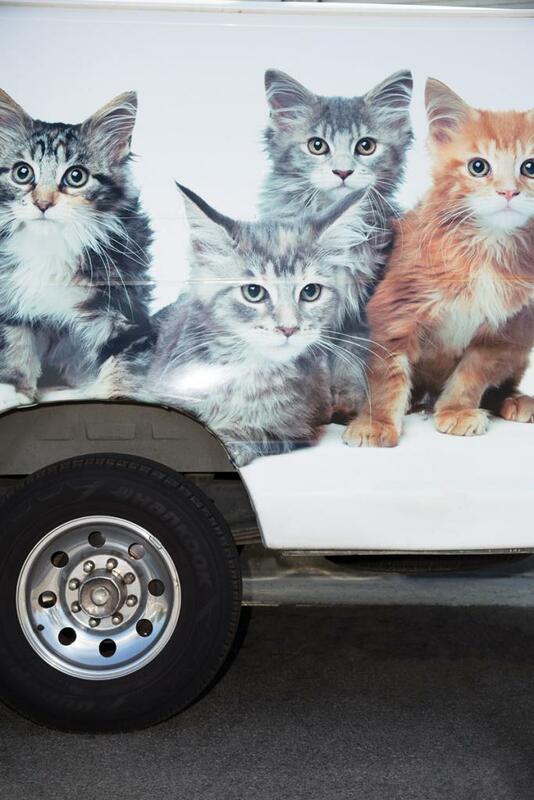 He pulls his vehicle, a white van with an image of four wide-eyed kittens on its side, into a space and hops out. The women begin unloading large rectangular cat traps from their cars. “I’m telling you, it was an interesting night, Joe,” says Kimberly Reed, who traps every Wednesday and Thursday night with her “battle buddy” Debi Leal. Their captives have come from some of the numerous feral colonies that dot the region, each of which can have between a few and several dozen animals. While the total number of feral cats in L.A. County isn’t known (cats aren’t the easiest things to count), as many as several million could be roaming around the county. To a lot of conservationists, they are public enemy No. 1. After all, cats are predators, killing birds and small mammals alike. They can also spread diseases that may affect wildlife and humans. Their quality of life can be pretty poor as well. Free-roaming cats face threats that the kitty on your couch does not—like being hit by a car, accidentally poisoned, or killed by a coyote. “I feel bad for every one of them,” says Federico, a small and smiley 59-year-old with reddish hair and a mustache, after getting back in his van. He’s driving to FixNation, a nonprofit Sun Valley clinic that spays and neuters felines; Federico has volunteered there for several years. “If we could help by keeping the population down, keeping more from being born, keeping them from having to go through all this—that is why we do this,” he says. Grown ferals that haven’t been socialized are often considered unadoptable, and newborn kittens require a high level of care, including around-the-clock feeding. Historically these two factors have resulted in a high rate of cat euthanasia at shelters. Five years ago a mere 37.9 percent of cats that entered city shelters were not euthanized. Last year the numbers were practically inverted, with almost 68 percent of cats making it out alive. 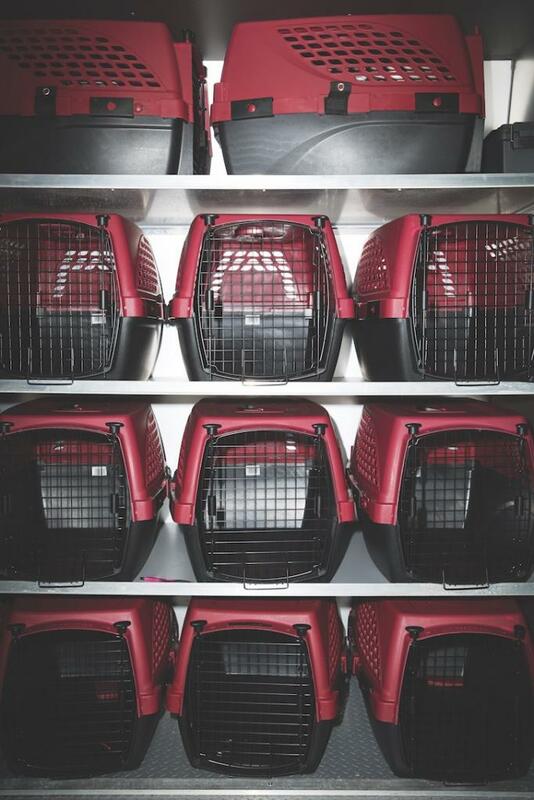 The reversal stemmed from L.A.’s efforts to establish its shelters as “no-kill” facilities, meaning that 90 percent or more of the animals must survive. The City of L.A.’s Animal Services aims to reach that milestone this year. In the mid-2000s, it implemented an unofficial policy to encourage trap-neuter-return (TNR) as a way to reduce the number of cats killed. But the department is no longer allowed to conduct TNR or provide any information about the practice. In 2008, the Urban Wildlands Group and five other conservation organizations sued the city. They argued that the city was surreptitiously implementing elements of the TNR policy without doing an environmental review that officials had previously promised of the adverse impact on wildlife and humans. L.A.’s Superior Court issued an injunction preventing the city from doing anything related to TNR until that review is conducted. Travis Longcore, science director at the Urban Wildlands Group, has dedicated countless hours to fighting TNR because he believes it’s an ineffective method for controlling an invasive species. “Unfortunately TNR does not eliminate feral cat colonies under prevailing conditions,” he says in a Conservation Biology essay cowritten with Catherine Rich from the Urban Wildlands Group and Lauren Sullivan of UCLA’s department of geography. “Mathematical models of feral cat populations indicate that 71-94% of a population must be neutered for the population to decline, assuming there is no immigration.” At L.A.’s current rate of sterilization, this percentage isn’t even close to being met, he says, noting that San Diego County’s TNR program failed to reduce the feral population after ten years. Conservationists like Longcore advocate cracking down on colony “caregivers”—people who feed feral cats—since more food often means more babies if everyone in the colony isn’t sterilized. Another contention is that owners are more willing to abandon their cats if they think someone else will still feed them. Those in the conservation camp generally push for cats to be treated the same way dogs are: They want to require them to be licensed, kept inside (or at least on their owners’ properties), and spayed or neutered. Moreover, they want to maintain a mechanism to enable residents and land managers to permanently remove free-roaming cats from their properties. Even the terminology is cause for debate. People at nonprofits tend to favor the phrase “community cats” to describe unowned felines that live outside. When I mention the expression to Sizemore, I can feel him tense up on the other end of the phone. “I hate that term,” he admits. 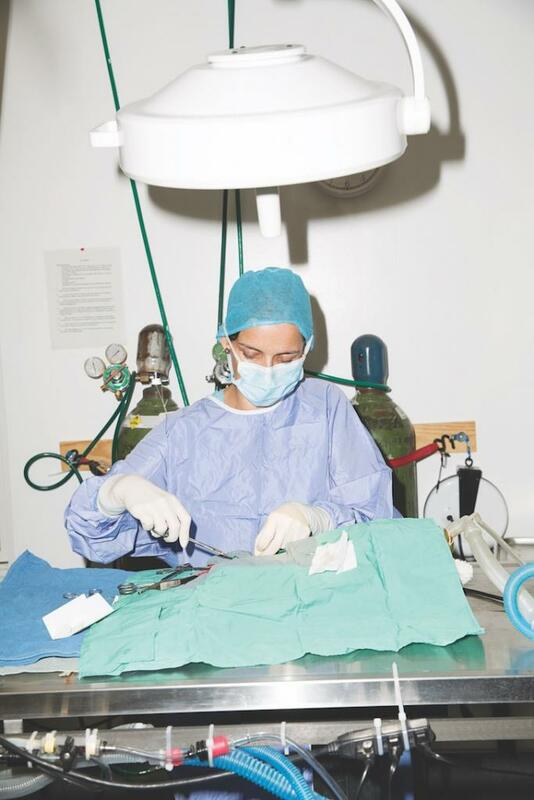 Dr. Samantha Shone, at FixNation, working on a client. Spayed and neutered feral cats are subsequently returned to where they were caught. Compounding the problem is that all the key players are animal lovers in some respect—meaning it’s not as simple as bird versus cat. In fact, Sizemore himself has an indoor cat. And Federico tears up when telling me about a baby bird that he and his wife saved. In April the city council voted to move forward with preparing an $800,000 environmental impact report on the effects of a TNR-based program. General manager of Animal Services Brenda Barnette hopes once the EIR has been completed, they can get the injunction lifted so the city will again be able to fix cats, or provide funding for other groups to fix them, as well as provide information to the public about TNR. “Our goal is to reduce the overall number of cats in the city over time, mainly through spay and neuter,” she says.